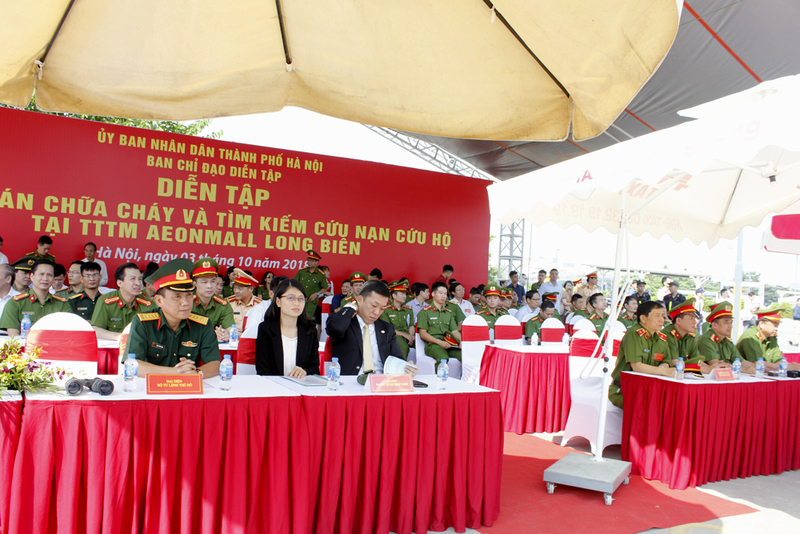 This 2500-people event was attended by Senior Colonel Tran Trung Thanh, Deputy Director of the Fire Prevention and Fighting and Rescue Police, Ministry of Public Security; Brigadier Hoang Quoc Dinh, Deputy Director of Hanoi Public Security; representatives of departments, boards of Hanoi City and Long Bien District. 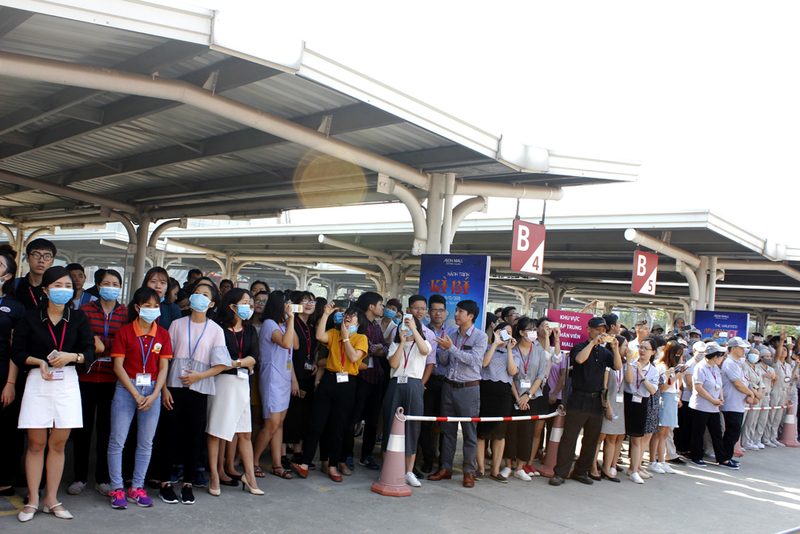 Specially, Mr. Manago Kazunori, Second Secretary of the Embassy of Japan in Vietnam also attended the firefighting rehearsal. 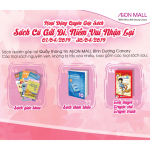 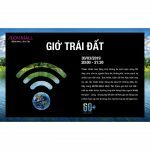 AEONMALL Long Bien has been put into operation since the end of 2015 with a floor area of ​​120,000 m2 including four floors on a total area of ​​9.6 ha. 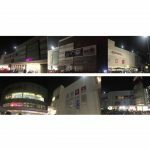 This shopping mall attracts a lot of customers as well as a large number of staff and employees. 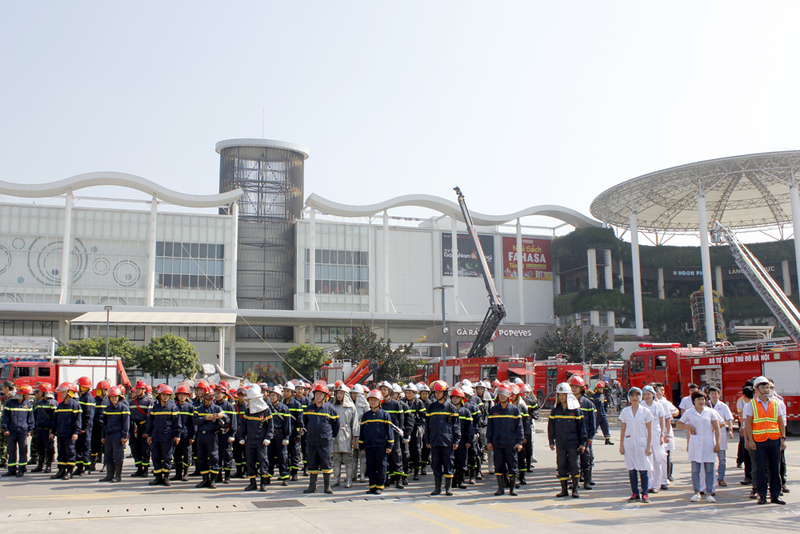 It is estimated to welcome more than 1 million customer visit every years for shopping and entertaining; thus, Fire Prevention and Fighting is prioritized and implemented regularly. 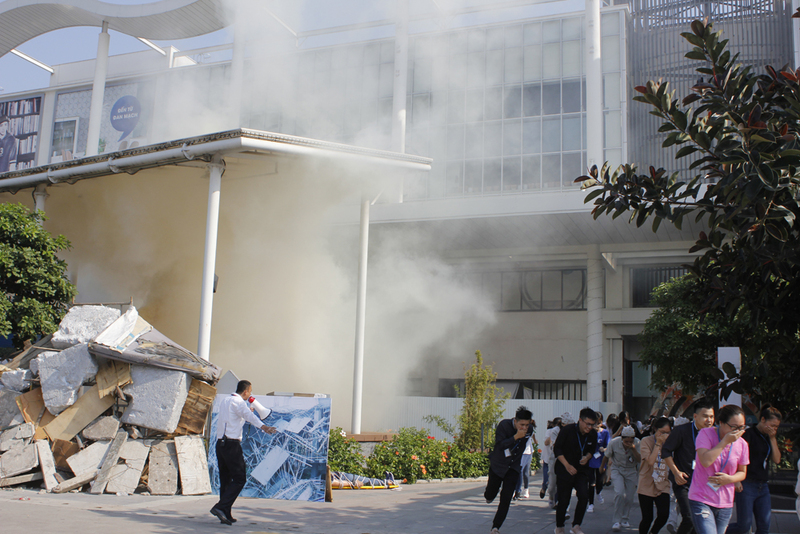 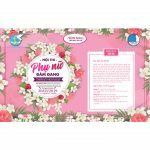 At the rehearsal, the fire situation started from Tran Anh booth on the first floor. 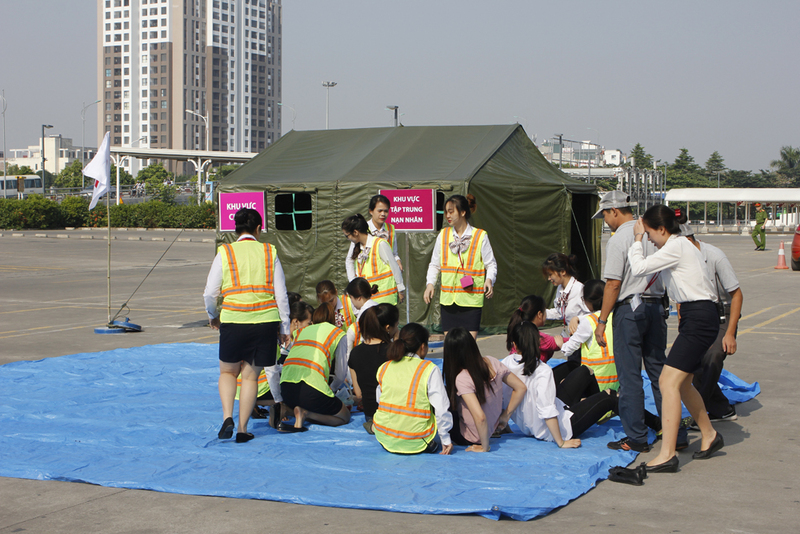 Immediately the technical staff cut off power in the fire area, operated water pump and checked the fire-prevention door operating system. 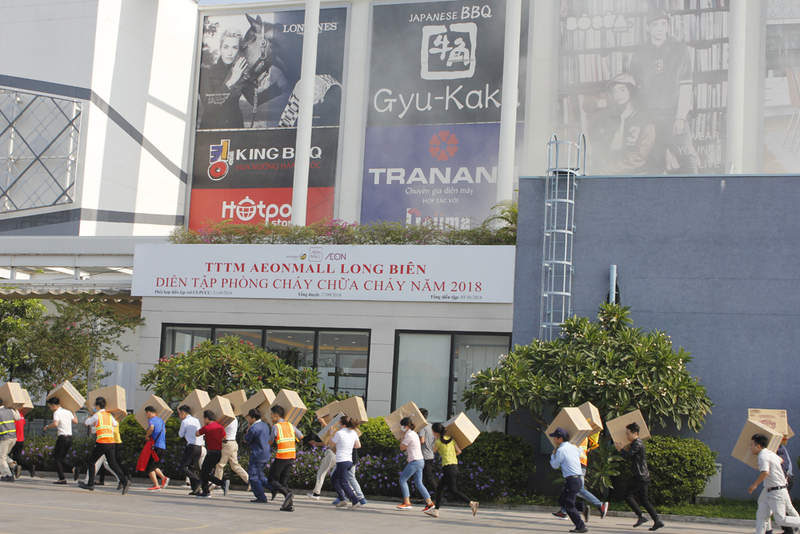 The fire-fighting force at AEON MALL Long Bien immediately blocked the site, took necessary firefighting measures, evacuated people and property out of the dangerous area as well as promptly informed the functional authorities of the city. 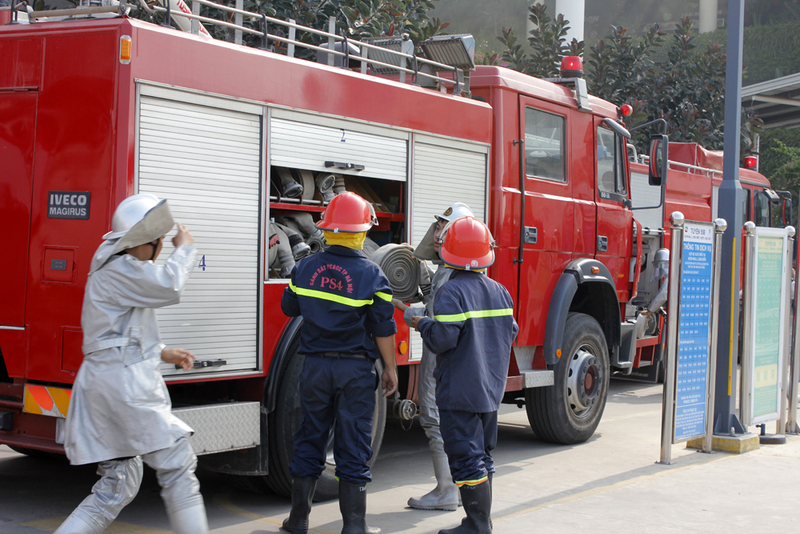 Only a few minutes later, Hanoi Fire Department were present with 7 firefighting engines, camera detector, ladder truck and quickly extinguished the fire while rescued victims and assets. 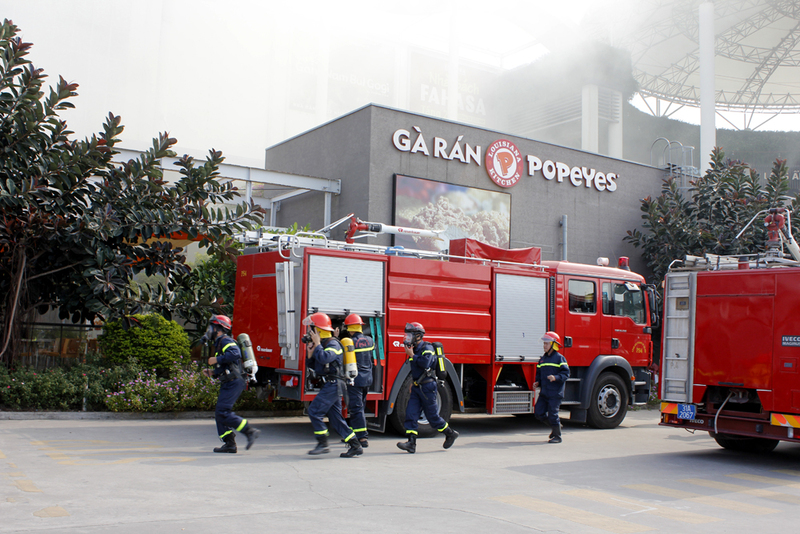 After the first fire was controlled, firefighters continued to detect fire in the area of ​​Ngon Pho in the 3rd floor of the shopping mall. 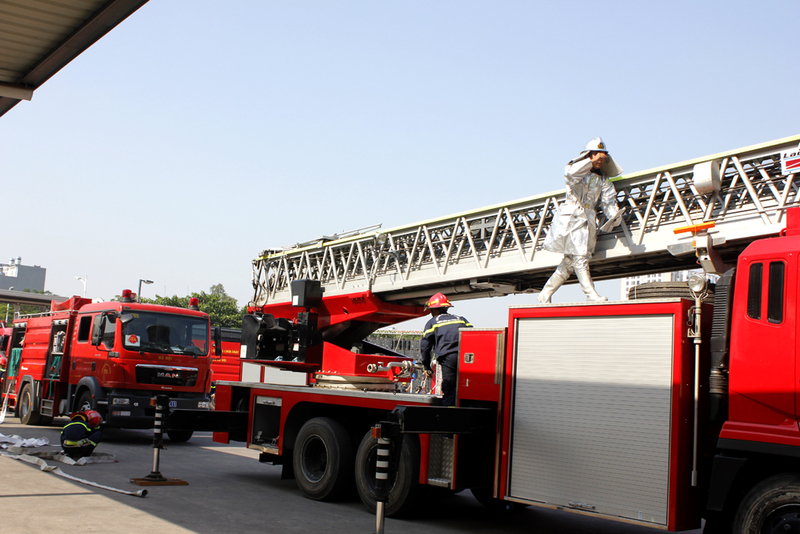 Immediately, the comrades continued to deploy firefighting force, prevent fire spread, add water to the engines and search for the victims. 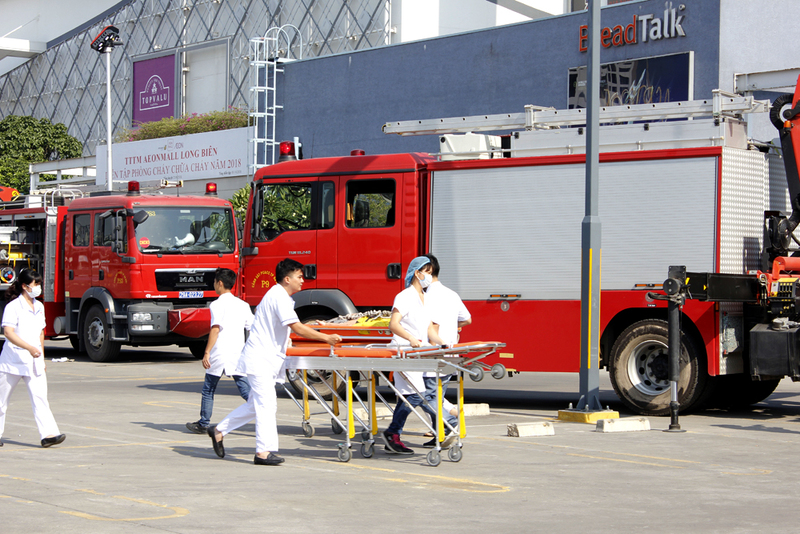 Recognizing the complicated situation, the fire fighting force have called for support from the concerned units. 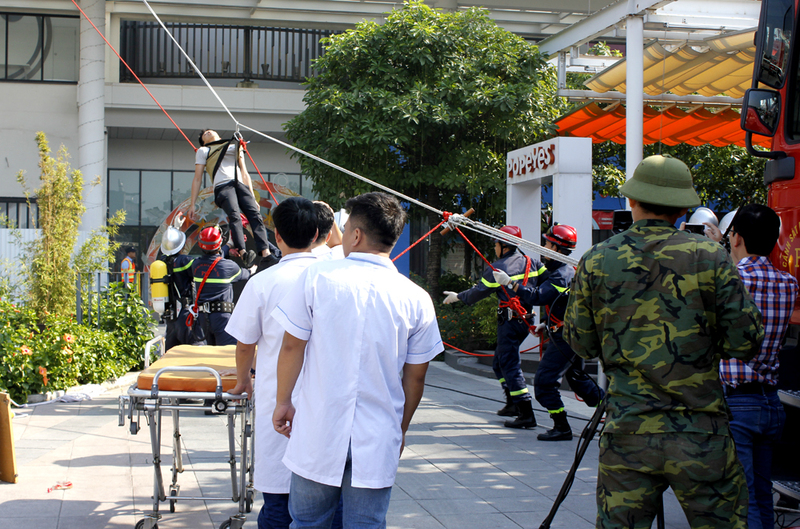 High Command of Capital, Hanoi Health Department, Hanoi Electricity Company, Hanoi Water Company and Long Bien district’s police were quickly present at the scene to participate in the work of firecontrol, victim’s first aid and cargo. 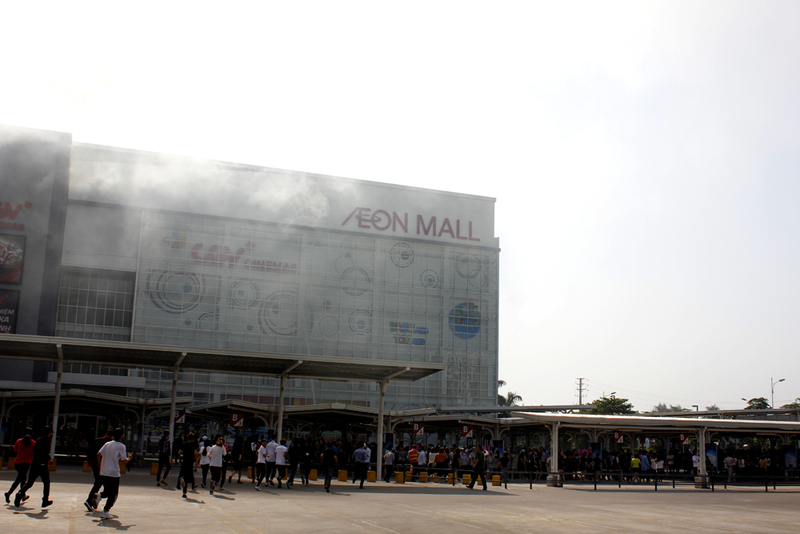 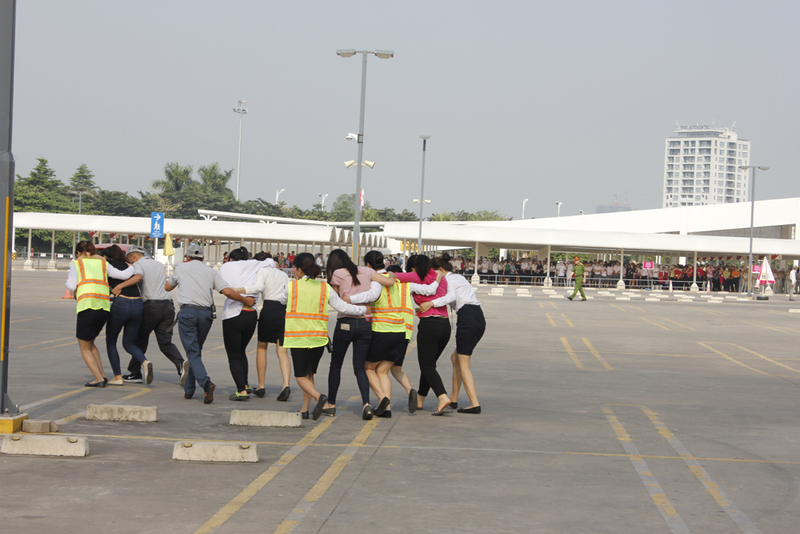 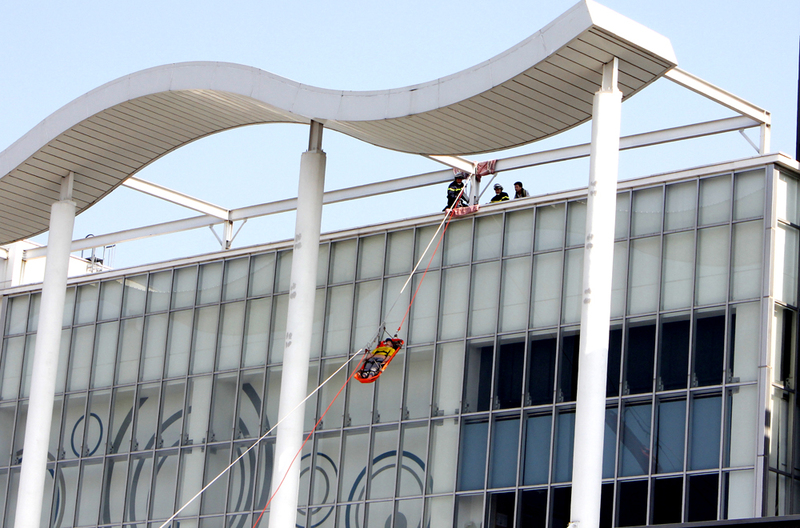 Thanks to the effective and accurate coordination between firefighting teams of AEONMALL Vietnam, Aeon Delight and Aeon Vietnam with professional firefighters, as well as scientific firefighting strategy and techniques, the fire was completely controlled and extinguished after 30 minutes, all victims were rescued safely. 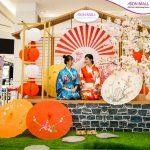 The “Customer First” philosophy and meticulous attention to details is one of AEONMALL’s core values with the desire to bring the best and safest experience to customers. 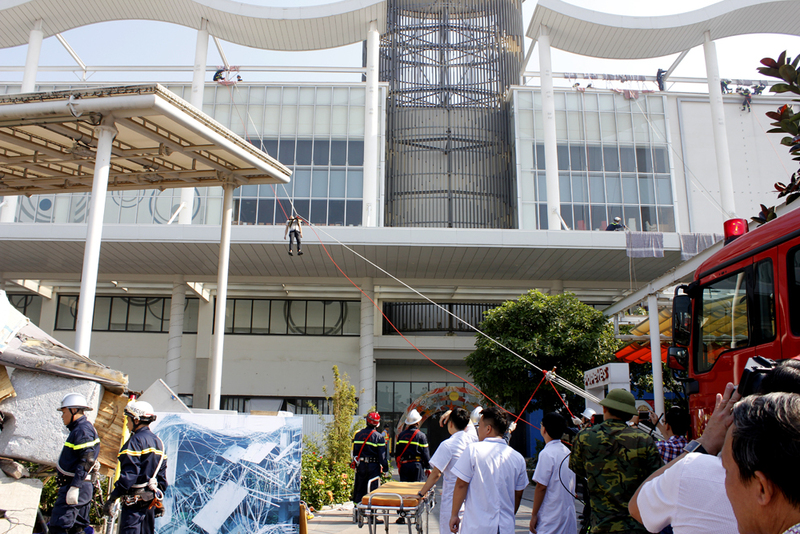 In order to achieve that goal, AEONMALL always prioritize and strictly implement fire prevention and fighting to improve the knowledge and skills of all employees, through which ensuring safety for themselves and helping people around.